Just google Matt Delight. He's awesome. In April 2012, I took a temporary position at a games studio working on a Ghostbusters project. 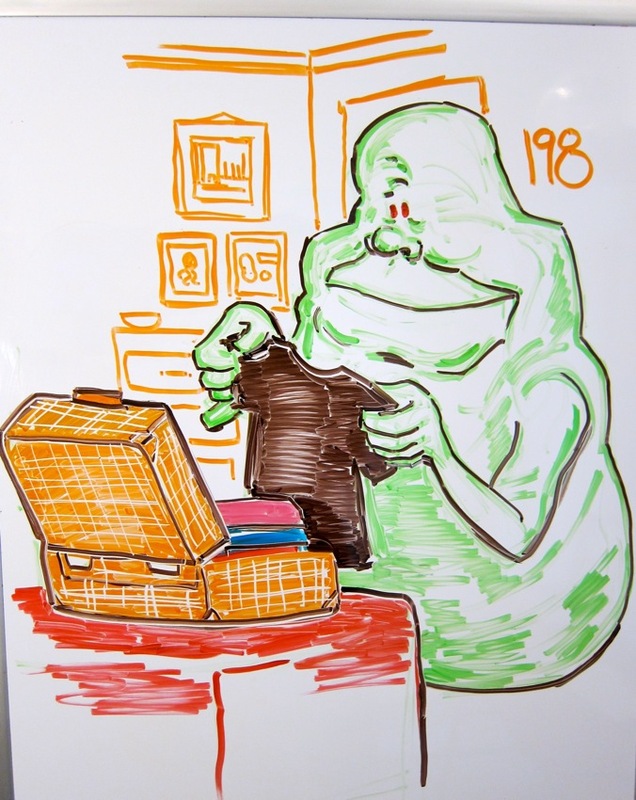 To pass some of the downtime, I drew Slimer, the "Class-5" spectre from the franchise on the office whiteboard. 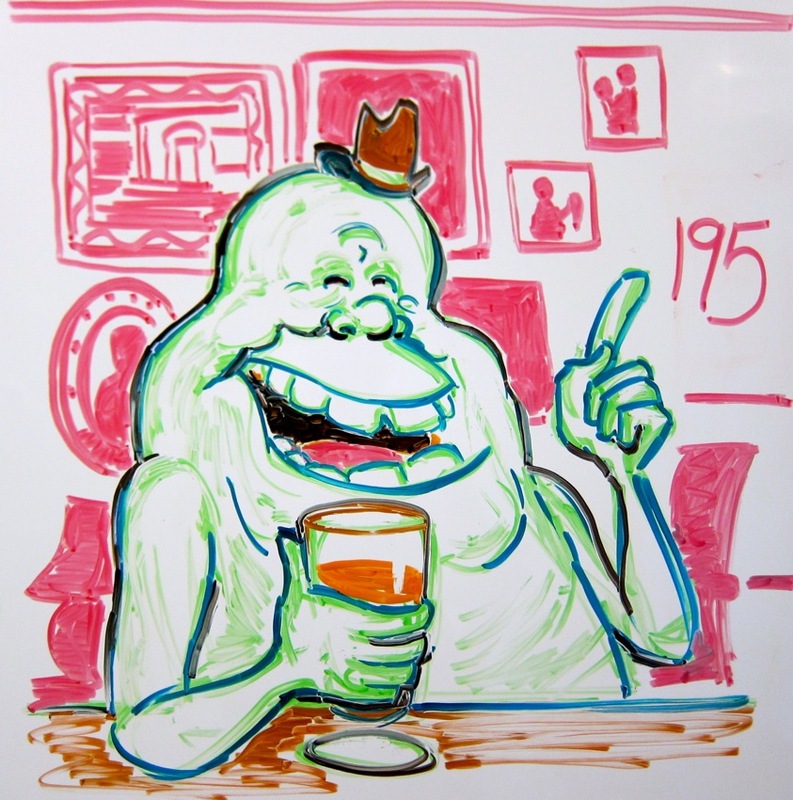 The game studio encouraged me to keep drawing Slimer, and before long, it was a daily thing. After the first 50 or so drawings, I started numbering them. 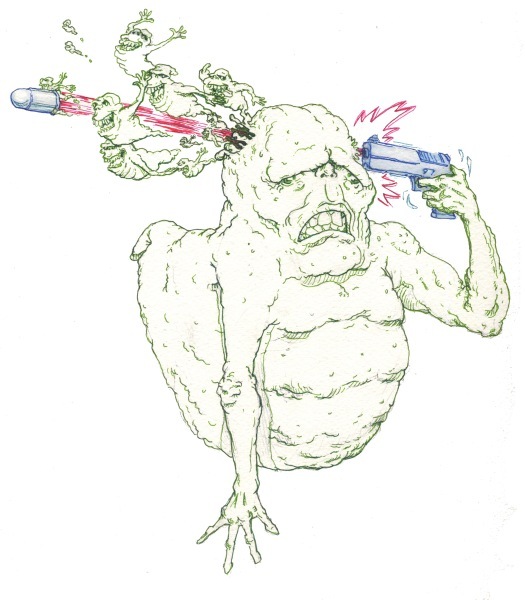 I found it to be a great warm-up drawing exercise and I've continued making Daily Slimers from my home studio for the past six months since I've left the game studio. 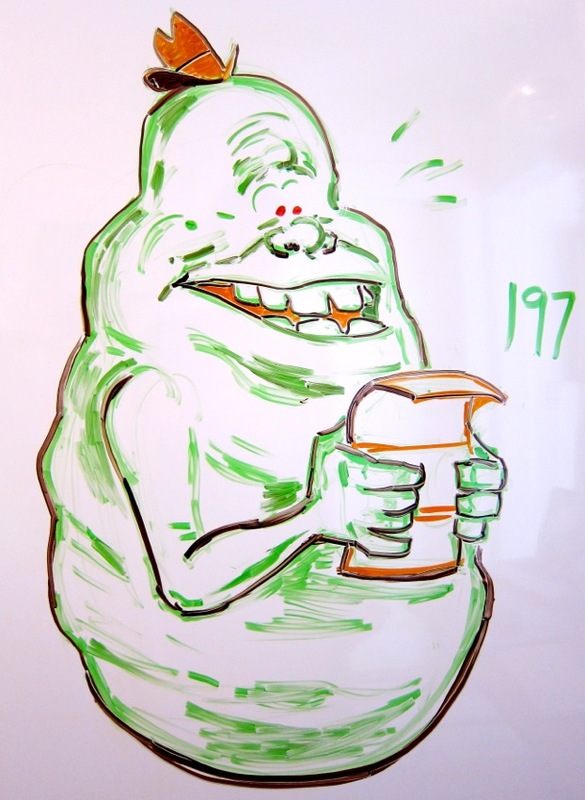 This marks my 200th and probably last "Daily Slimer". Working with dry-erase markers on a whiteboard has helped me in ways I didn't anticipate. I encourage anyone to try it out. First off, the drawings are temporary by design. You can't draw another piece without destroying your previous effort. Drawing in dry-erase makers keeps things from being too precious. It's also oddly satisfying to erase the work, in the same way that it's fun to destroy a sandcastle. 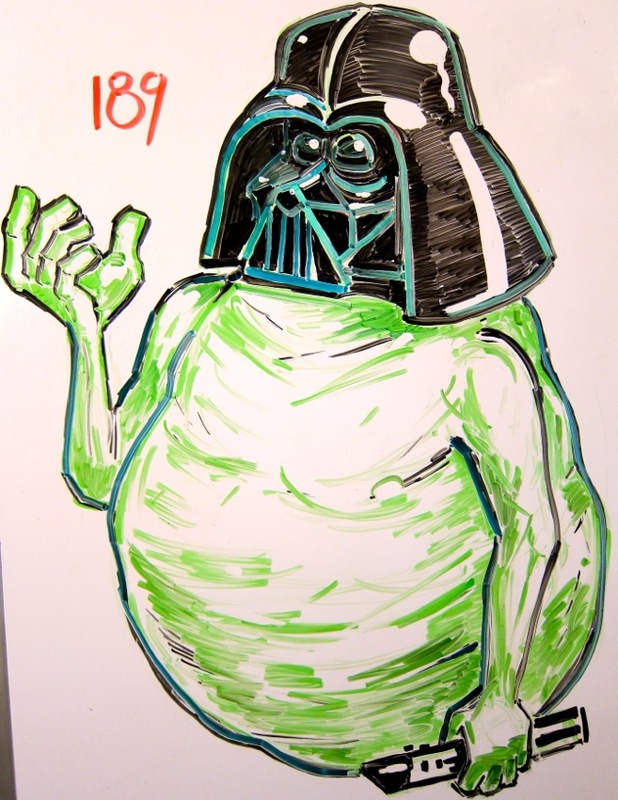 Dry-erase makers are also unforgiving. They don't mix very well with other colors. In fact, one color will often erase another color or even itself. Drawing on slick plastic with a blunt self-erasing marker is a great way to level out expectations. Thanks to everyone that followed along here. 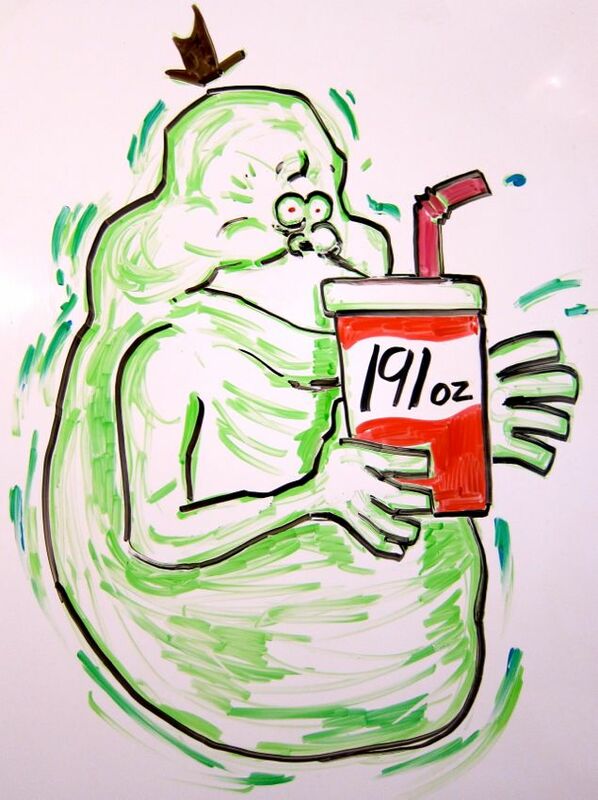 I'm sure I'll be posting white-board warmup sketches in the future but Slimer is now on an extended vacation. Bye!